Three fabulous Flower Market customers have generously agreed to give their time and expertise for the Flower Market College Day 2015, hoping to inspire the next generation of florists. 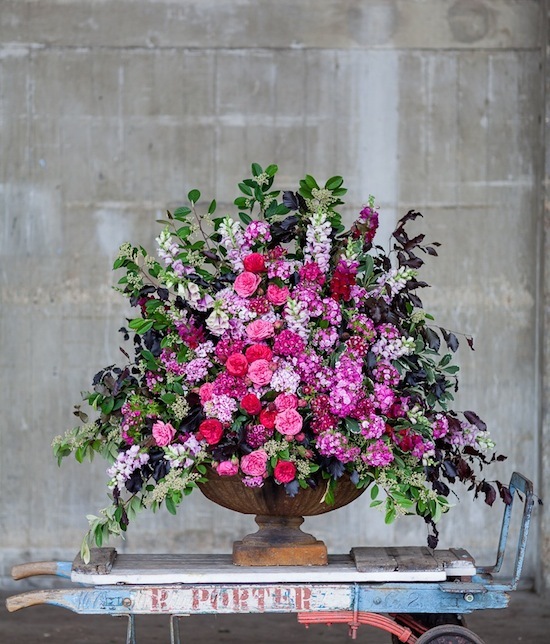 Ellie Jauncey and Anna Day are the team behind media favourite, The Flower Appreciation Society, and they love – I mean really LOVE – New Covent Garden Flower Market! They love it so much, in fact, that they dedicated an entire chapter of their first book to their Flower Market heroes. Ellie and Anna met whilst working at a Hackney pub. Both had a passion for flowers but had yet to turn it into a career: Ellie had learnt floristry from her florist mother and worked with her to earn money after her Textile studies, whilst Anna had taken a year-long floristry course at Capel Manor College and trained in illustration. 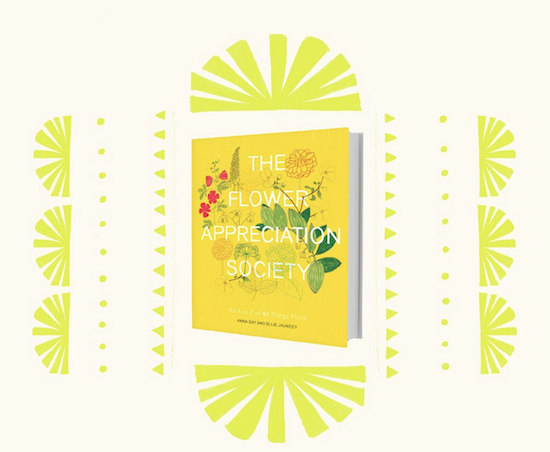 From doing the pub flowers, the girls started creating flowers for weddings and events and suddenly The Flower Appreciation Society was born. Ellie still remembers her first trip to New Covent Garden Flower Market with Anna and guided by Rebel Rebel co-founder, Athena Duncan. Athena introduced them to the market traders, which eased them into the workings of the Flower Market. 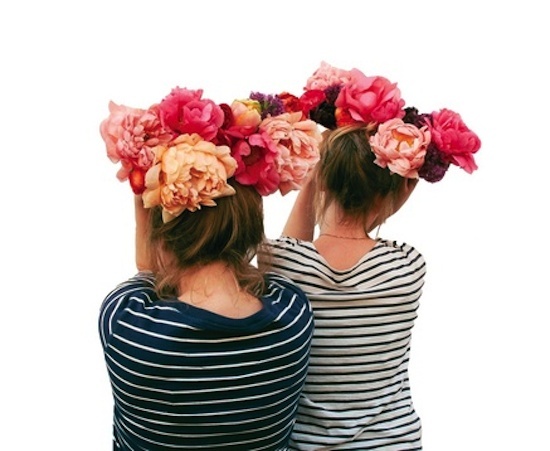 "We want to see our flowers before we buy, how open we want them," explains Ellie. 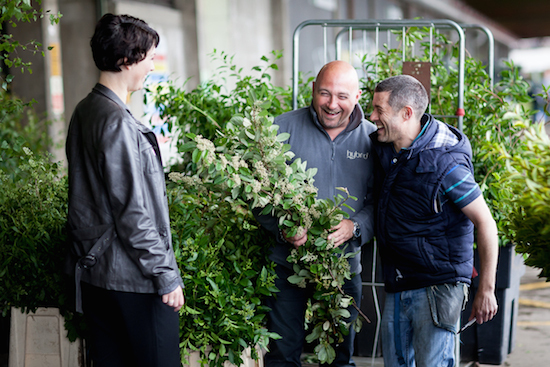 "The foliage at the Market is interesting and we get all our floral sundries from the Market." Any advice for the budding florist? "My advice is that you have got to really love this job, as it is such hard work. You have to commit 110%. It does take over your life. You must not mind early mornings! Buy a good alarm clock. 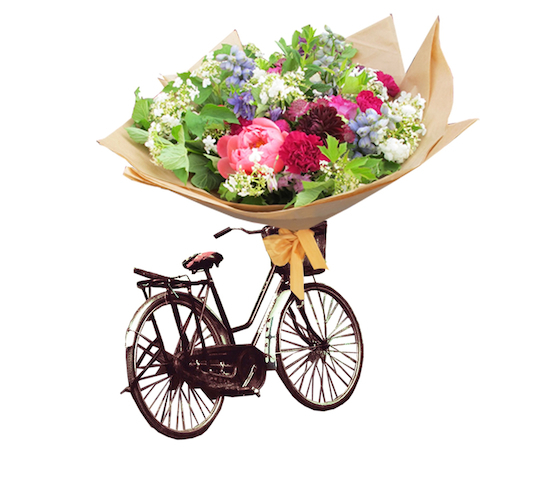 There is much more to the job than just arranging flowers." Alan Simpson co-founded Hybrid with Caroline Ball (pictured above) eleven years ago. Their corporate, event and wedding florist business works in some of the most prestigious venues in London and has an enviable reputation for exquisite quality and superb attention to detail. Alan jokes that he literally fell into floristry, having been able to perfectly re-assemble a pedestal arrangement that had come crashing down at an amateur dramatic rehearsal. He then completed a three-year YTS floristry course at Brooksby Agricultural College, before going onto the world of freelance floristry. 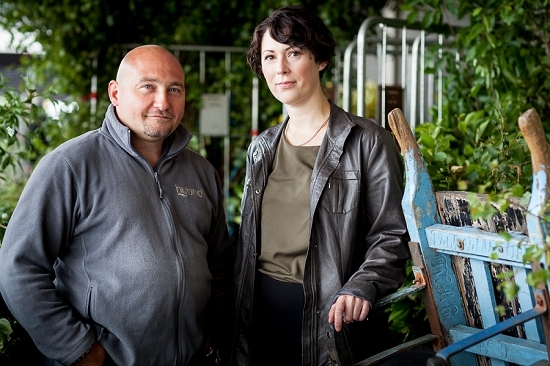 Hybrid buy 100% of their materials at New Covent Garden Flower Market. They now have a unit over the road so that they can be close by. "We visit every day - and are enthused and inspired every day," explains Alan. "Our designers come to look and see what’s around most days, and we then pre-order for specific jobs." Alan's enthusiasm for the world of flowers, foliage and floral design is infectious! He has great vision and design skill, which he combines with an instinctive ability to communicate and inspire those around him. For the Flower Market College Day, Alan will be demonstrating with cut foliage from the Flower Market's Foliage Row. College Day students are in for a treat! Super-talented florist Danielle Scandone is the youngest of the three demonstrators at this year's Flower Market College Day. 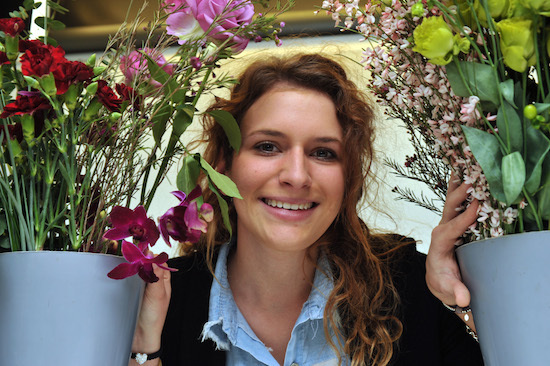 Already an experienced professional florist and floristry competitor at just 20 years old, Danielle Scandone and is certain to be an inspiration to the 300 Level 2 students attending the Flower Market College Day 2015. Danielle studied at Merrist Wood College in Guildford. She passed her City and Guilds Level 3 Floristry exam with flying colours and won an accolade for her outstanding commitment to her studies at the College's annual Graduation and Awards Ceremony. Danielle had embarked upon the Floristry Level 4 Higher Diploma course at Merrist Wood when WorldSkills came knocking. In February 2014, Danielle was selected as a member of the Squad UK Pool to train for the 43rd World Skills competition. Speaking of her selection at the time, Danielle said: "I am very excited to be representing my country, doing something that I love and enjoy. Floristry is a big part of my life and I couldn't be where I am without what I have learnt at Merrist Wood". 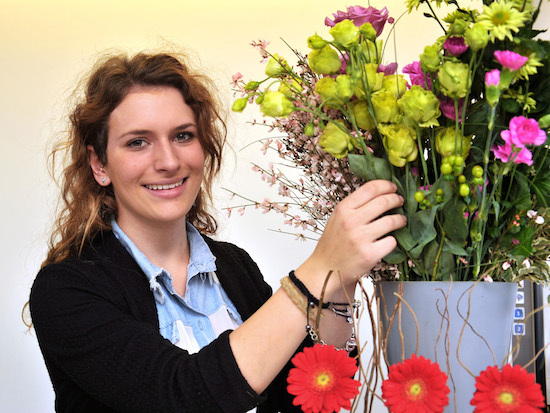 The training for World Skills is intensive and demanding, but Danielle clearly thrives on it, balancing her competition work with the commitment to her job as a florist with retail and event florists (and regular Market customers), Moonflower in Cobham, Surrey.